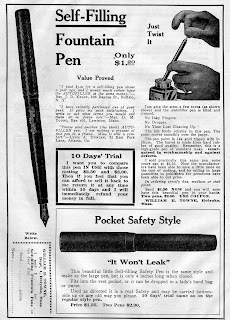 Vancouver Pen Club: Auto Fillers Ads. Yesterday I picked up a couple of copies of The Nautilus magazine from 1915. The magazine sub-titled itself 'Self-Help Through Self-Knowledge'. It was published in Holyoke, Massachusetts. 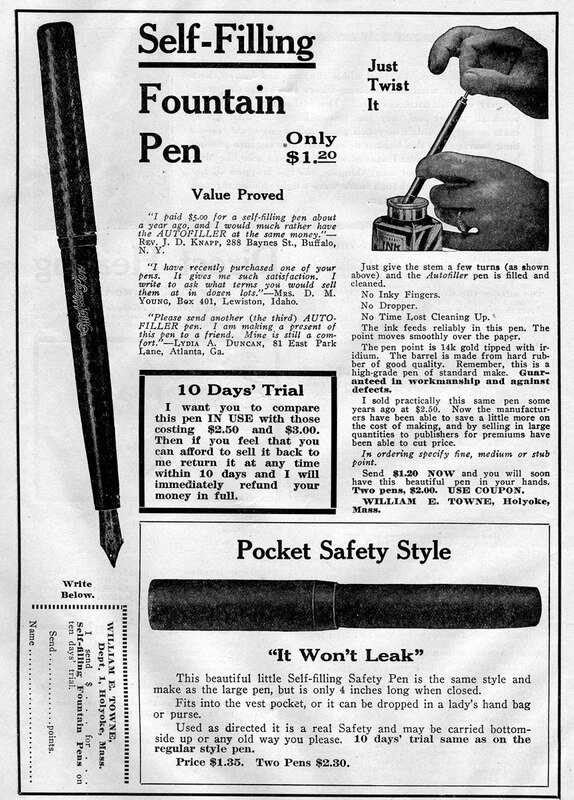 Here are a couple of full-page ads for Auto Filler pens, from The Nautilus for your amusement.